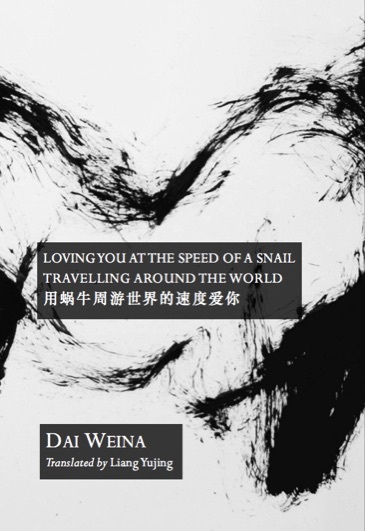 In this chapbook of 16 occasionally abstruse yet constantly mesmerising poems by award-winning Chinese poet Dai Weina––with translations by Liang Yujing––a young woman drifts between love and lovelessness, sleep and sleeplessness. Dai Weina, who writes in an unearthly, dreamtalking style, is a representative of the new generation of Chinese poets, ‘the post-’80 poets’ (poets born in the 1980s). Dai Weina 戴潍娜 is also a short story writer, playwright, translator, editor and scholar based in Beijing, where she works for the Chinese Academy of Social Sciences. She holds an MPhil from Oxford University and a PhD from Renmin University of China. She has published four poetry collections, notably Face Shield and Soul Gymnastics. Her short story collection Ganoderma Girl was published in 2013 and her play Invasion was performed in 2016. Her books of translation include Miklos Haraszti’s The Velvet Prison. She edits Light-Year, a poetry translation magazine. Her poems have been translated into English, German and Korean. 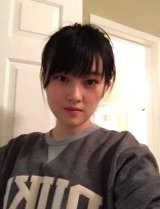 Liang Yujing grew up in China and is currently a PhD candidate at Victoria University of Wellington. He is the Chinese translator of Best New Zealand Poems 2014 (Wai-te-ata Press) and the English translator of Zero Distance: New Poetry from China (Tinfish Press). I lie in the woods, recalling my past lives. The moss is a walking centipede spirit. The earth’s white belly catches its green little shoes. Every night the starry sky flees too fast. before my love has the chance to unfold. I begrudge exhausting my love for the world at one go. Like a baby’s, the taste in my mouth hasn’t fully developed. That will take longer than a long time. between two of my lives.